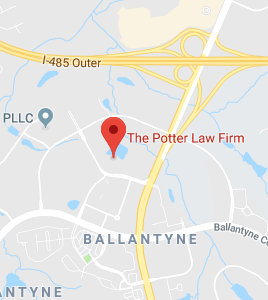 Ms. Potter spent three years in the public sector and 15 years practicing in general practice law firms before founding her own firm in 2000. She is a member of the American Academy of Estate Planning Attorneys, the National Academy of Elder Law Attorneys, the Huntington Estate Planning Council, and the Real Property, Probate and Trust section of the American Bar Association. 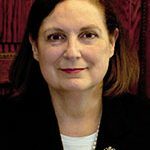 She actively serves her profession through the Kentucky Bar Association as Past Chair of the Probate and Trust Law Section and as a founding member of the Kentucky Bar Association Elder Law Section. In addition to presenting seminars to educate the public about estate planning and elder law issues, Ms. Potter is a frequent speaker at continuing legal education seminars for other attorneys in the areas of both estate planning and elder law. She and her son, attorney John Potter, co-authored the Living Trust chapter of West Publishing Company’s Kentucky Practice Series volume of Elder Law. Ms. Potter graduated from the University of Kentucky with a degree in history. She is a 1974 graduate of the University of Kentucky College of Law. Dedicated to serving her community, Ms. Potter makes service to local civic organizations a priority. She currently serves on the Boards of Directors and Executive Committee of the Community and Technical College Foundation of Ashland, Inc. where she Co-Chairs the Planned Giving Committee. She is also serves on the board of the Foundation for the Tri-State Community. Ms. Potter is married to Roger Potter, an Ashland, Kentucky pediatrician. They have three sons.